Samsung has announced the QuickDrive, a new washer it claims is the latest in laundry innovation. “QuickDrive represents a fundamental change in how we can design and engineer washing machines in order to save people time. It helps dramatically cut the time to do laundry, giving our customers time back in their busy lives,” said Jeremy Senior, Director, Home Appliances Samsung Electronics Australia. “Our products are designed based on insight about real people and real lives. QuickDrive brings meaningful innovation into the home to help best manage and speed up our home chores. We’re also excited to introduce the new Q-rator laundry assistant to provide more useful connectivity features that help you select the optimal wash cycle for each load and allow you to start, stop and monitor your wash remotely” added Senior. The Samsung QuickDrive reduces cycle times by up to 50 per cent compared to Samsung’s previous washers, while still providing a full performance clean. QuickDrive washing machine also offers Samsung’s latest in IoT connectivity, with Samsung SmartThings compatibility and the Q-rator laundry assistant app. In addition, QuickDrive features Samsung AddWash, allowing consumers to add missed or forgotten items during the wash cycle to front-loader washing machines. Samsung’s intelligent Q-rator laundry assistant is also available on the new Samsung 9kg Heat Pump Dryer, pairing with the QuickDrive to achieve the ultimate Samsung laundry solution. 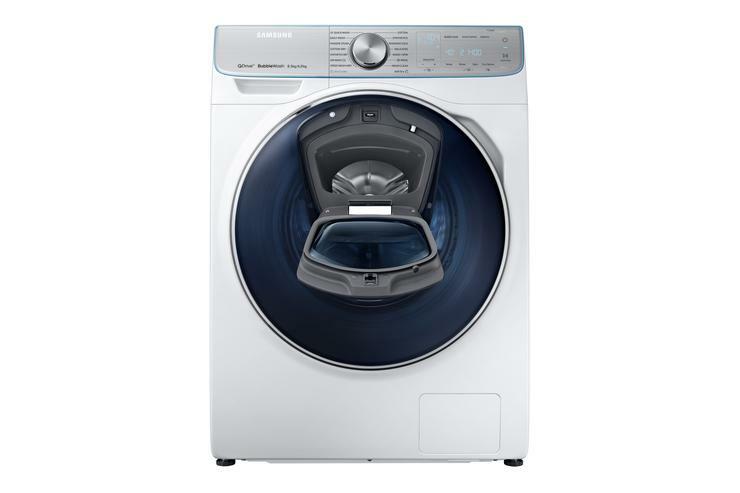 In Australia, the Samsung 8.5Kg QuickDrive Washer with Steam and Crystal Gloss door is available for $1,999. The Samsung 8.5Kg QuickDrive Washer with Steam and Crystal Blue door and drum light is available for $2,199. The Samsung 9Kg Heat Pump Dryer is available for $1,999. In New Zealand, the new Quick Drive washing machines will be ranged through Harvey Norman and Noel Leeming, at prices starting from NZD $2299.